Made of stone cast concrete, each garden accent has the look, feel and weight of true stone. 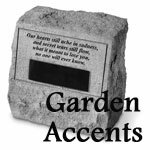 Weatherproof and durable, this accent offers a permanent and touching way to honor a loved one. 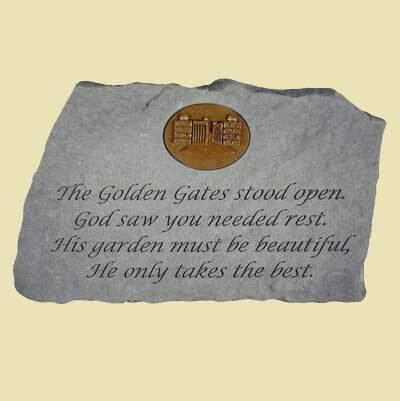 This stone also has a cast bronze symbol of heaven's gates. It represents the end of wordly and a new beginning of the kingdom of God. It stands open as an invitation to enter.